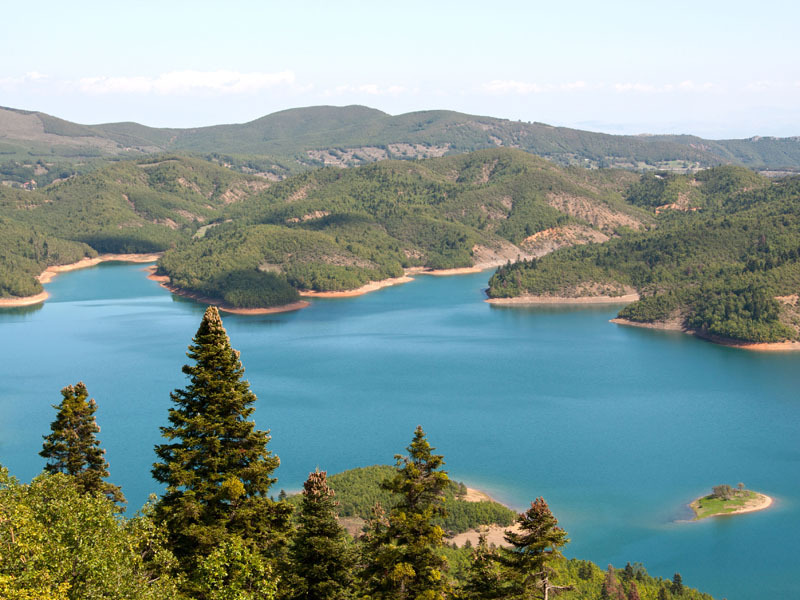 The Plastira Lake is one of the most beautiful tourist destinations of mountain areas in Greece. It is situated in the county of Karditsa, so called “Thessalian Agrafa“, it is artificial and a real “magnet” for thousands of excursionists from all over country. Very favorable location contibutes to that kind of tourist flow, because the lake is in the center of continental Greece. The distance from Thessaloniki is about 240km.